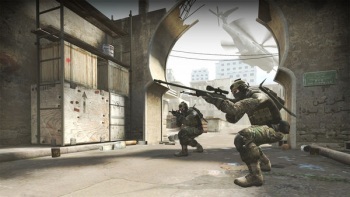 The Counter-Strike community has raised $250,000 for the 2013 DreamHack CS:GO Championship. Nothing makes a tournament more satisfying than loads of money on the line. Valve announced yesterday that a prize pool of $250,000 has been raised for the 2013 DreamHack SteelSeries Counter-Strike (CS:GO) Championship. In-game purchases of a new item, the eSports Case Key, were used to fund the prize pool. The eSports Case Key grants the player access to a special weapon case with new weapon finishes. A portion of the sales of each Key goes to a prize fund for CS:GO eSports events worldwide. The DreamHack prize is the first funded through these purchases, and will be one of the largest cash prizes in the history of Counter-Strike. The eSports Case Key arrived as part of the CS:GO Arms Deal update, which added two weapons for all players and over 100 new weapon skins to the game. The weapon skins are available for purchase, through timed weapon drops while playing, or by trading with other players on Steam. Weapon cases also drop while playing, but require a Case Key in order to access the weapon finishes. These items don't confer any advantages in the game, but prize pools of that size may drive you to play better anyway. The 2013 DreamHack SteelSeries CS:GO Championship will run from November 28 to December 1 in Jonkoping, Sweden. Tickets are now available, as well as competitor passes if you're itching for a shot at all that cash.